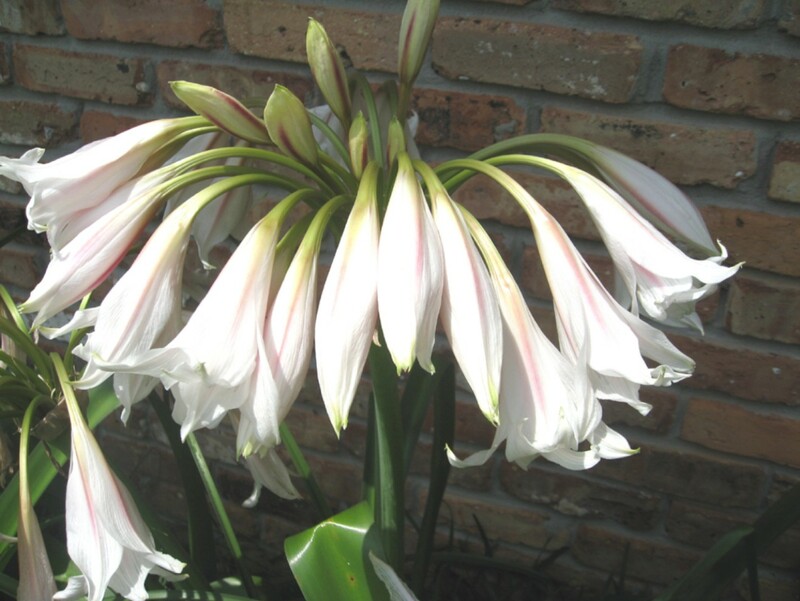 Comments: This is a strong, durable crinum that has been grown in southern gardens for many generations. With winter protection in the form of mulch plants can tolerate the cold temperatures in Zones 6 and 7. It produces nice heavy foliage and stalks of white flowers that have a blush of pink in the petals. Reference indicate considerable variation in the flower color. Crinums grow best in a moist, fertile soils and full sunlight, but can tolerate a wide range of growing conditions from dry soils to moderately heavy soils.